It's been an extraordinary weekend in NY. With Sara Knight's company and school, guest artists and BLDE veterans, it was an amazing performance. I hope to share some more the works as I'm able. Yesterday I attended a rehearsal of A Dancer's Christmas with Sara Knight's remarkable Chevalier company and students from her SLK Ballet school. Also there were Maresa D'Amore Morrison, Alex Olivieri, and Michael Wang. Steven Cornwall arrives from Jamaica today. Very simply I was "blown away" by the beauty of the dancing. Many times I was moved to tears seeing pieces like O Holy Night and Il est né brought back to life. The whole experience has been a "rebirth" for me. I am so grateful to Sara and the whole company for making this happen. During my "retirement", I've been viewing many of the performances and liturgies that go back to 1980 when the BLDE began. It's been a really moving experience for me "recovering" the memory of all the wonderful t dancers and artists I have had the privilege to work with over the years. I'm going to try attach a rehearsal video if I can. If you are in NY this weekend it's definitely worth seeing this beautiful company perform. (I don't think the video will play! I'm not technologically sophisticated enough! It's been a long time since I have written and there have been many changes in my life. I'm no longer in NY and am back in Massachusetts. It's a long story and if anyone wants more details, feel free to contact me directly at robertvereecke@me.com. 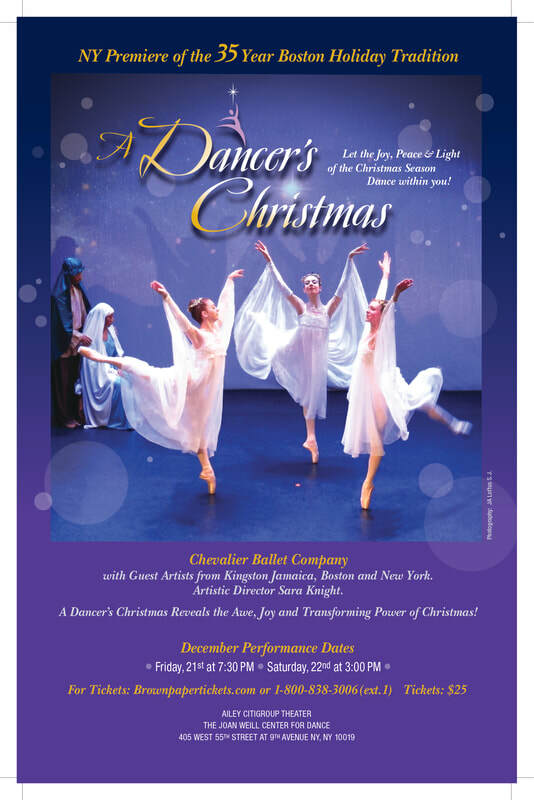 The good news is that there is a performance of A Dancer's Christmas in NY this year. 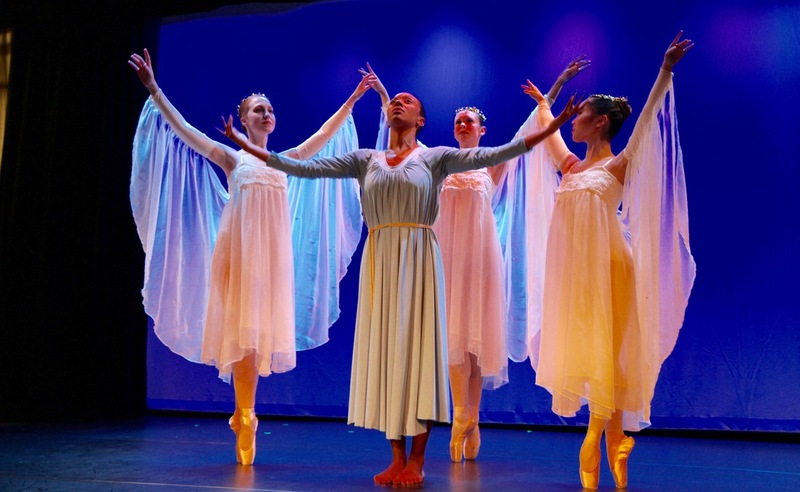 Sara Knight, long time friend and dancer for ADC is staging a version of ADC with her beautiful new Chevalier Ballet. Sara directs a wonderful training program for young dancers in NY and she asked if she could stage ADC with her company since I would not be able to do it. So I'm thrilled that a version of ADC that combines elements of the original with Christmas Reflections and Christmas Revelations. It will take place on December 21st/22 at the Ailey Citigroup theater, 405 55th St. NY, NY. I'm so grateful to Sara for making this happen. Joining the Chevalier Ballet will be Maresa D'Amore Morrison, Steven Cornwall, Alex Olivieri, Michael Wang (10 Hairy Legs dancers), Michelle Principi and few of the BLDE veterans. If you're in NY on the weekend of the 21/22, it would be great to see you!